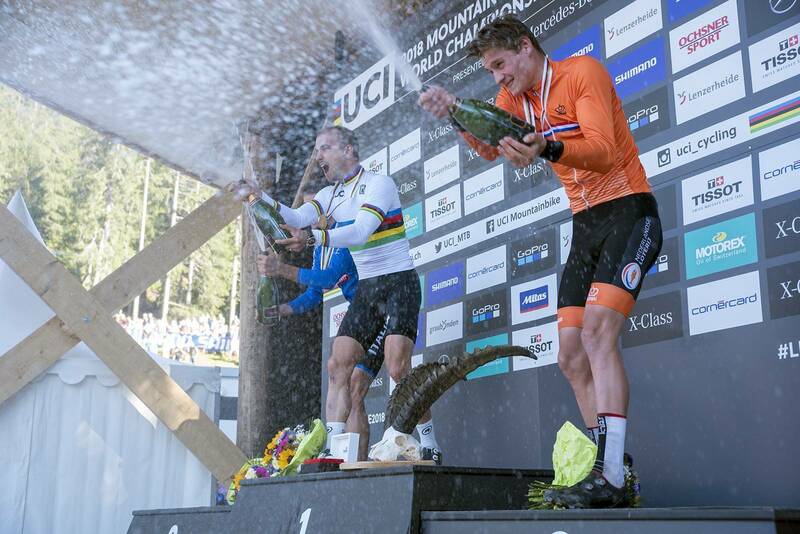 In a thrilling XC final in Lenzerheide, Kate Courtney and Nino Schurter won the XCO World Championships. 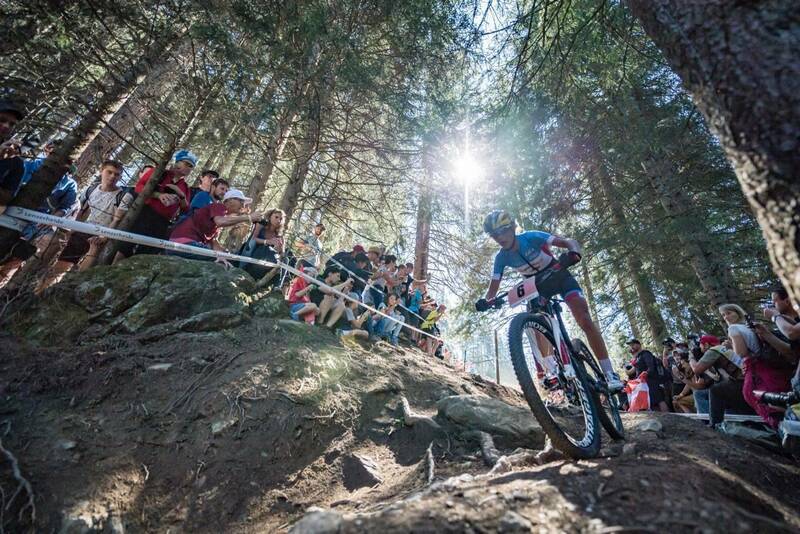 Under a blue sky in the Swiss Alps, Kate Courtney and Nino Schurter took commanding wins in the UCI XCO Mountain Bike World Championships. 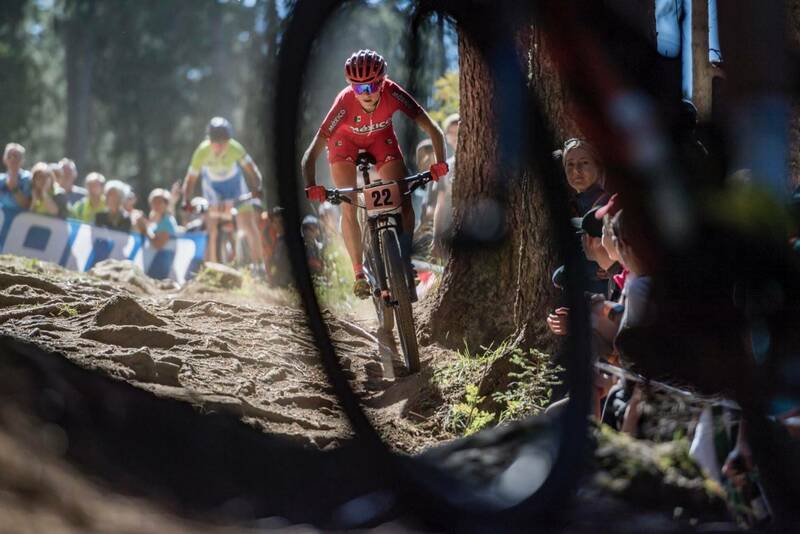 The air was tense before the elite women took off. 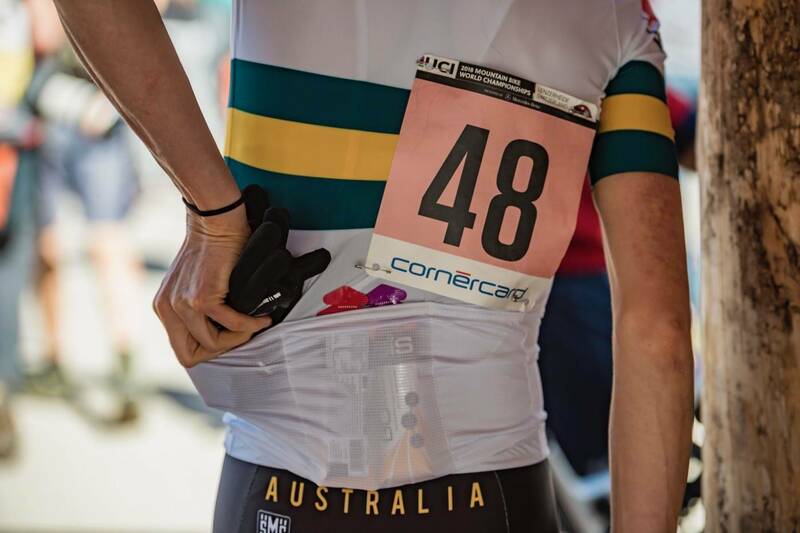 Australians Holly Harris, Sarah Riley and Imogen Smith had completed their warm ups, and rubbed elbows with the other elite women - ready to race with pride in the Australian colours. On the front line there was a collection of riders who knew what it took to win a World Championship. 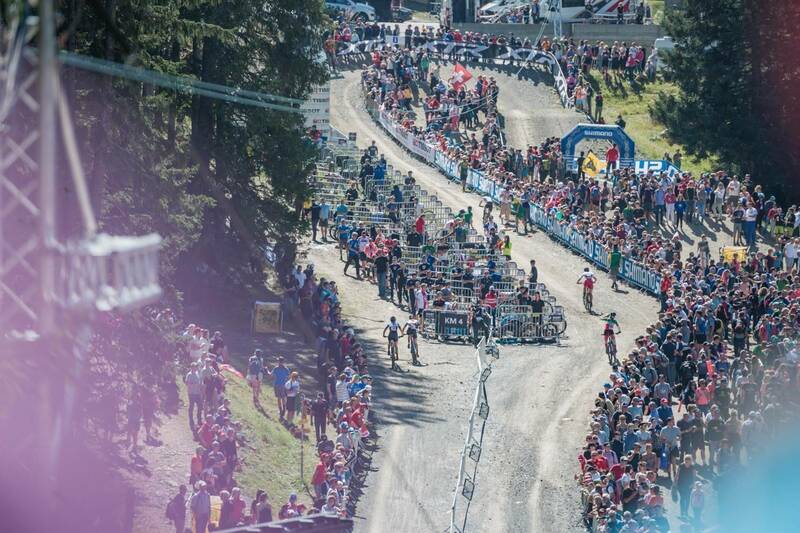 Jolanda Neff, Gunn Rita Dahle-Flesja, Annika Langvad, Maja Wloszczowska and Pauline Ferrand-Prevot - it was stacked! 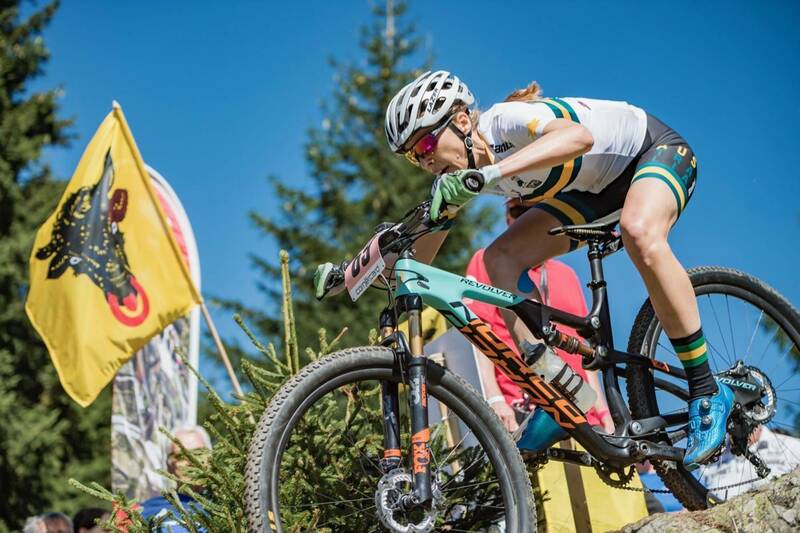 With the course drying up and the day being absolutely brilliant, the pendulum of fate would swing towards Annika Langvad as opposed to Jolanda Neff. 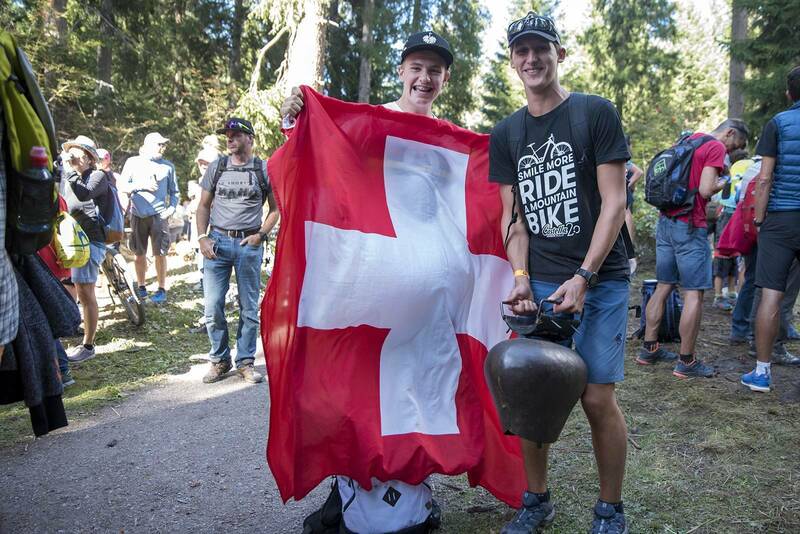 Langvad isn't a technical wonder, and slicker conditions would favour the bouncing Swiss. But, Langvad had the fastest woman's lap in the team relay - so she was clearly in top form. 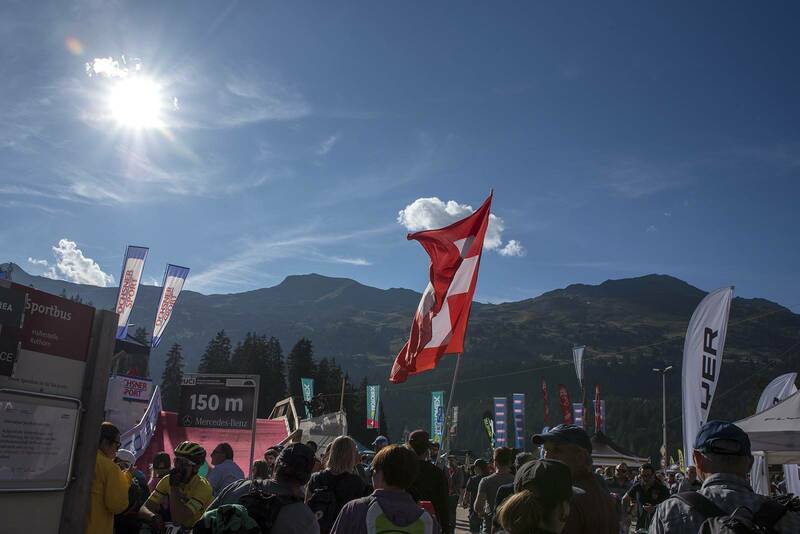 And given the lack of climbing in comparison to some races, it became a power course. It was a matter of watts. An explosion of sound went as the riders took off up the climb - rubber shredding on tar, chains moving over cassettes, and thankfully no crashes. 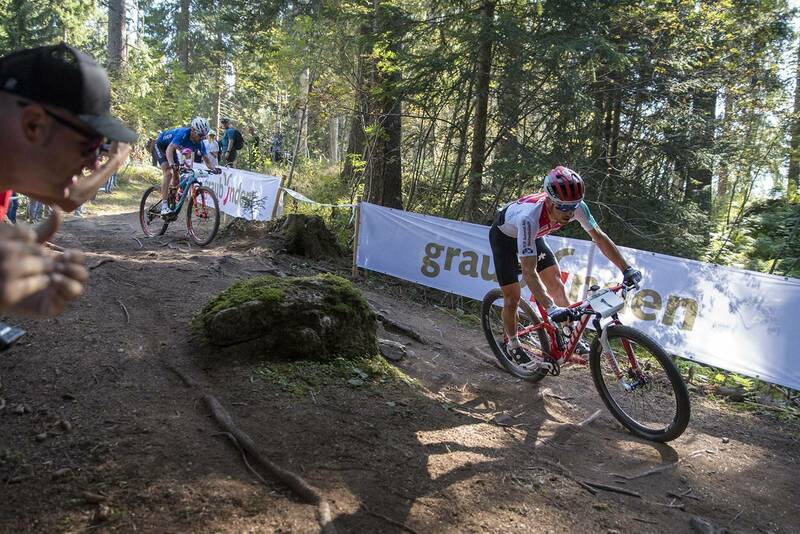 While Neff leapt from the start, Langvad was on the front by the singletrack with her Specialized team mate Kate Courtney of the US in 2nd. 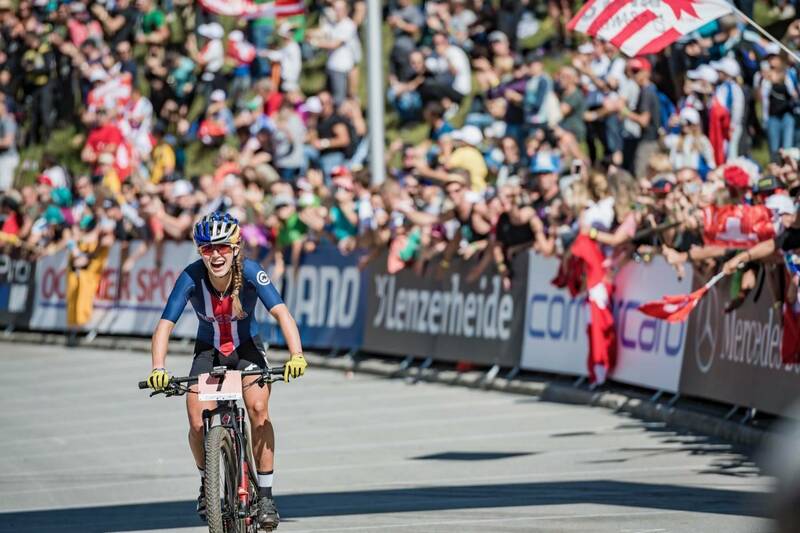 Behind, Emily Batty was slotting into 3rd place, as Jolanda Neff and Linda Indergand were riding together, pushing Neff forwards. Holly Harris had a reasonable start, as did Sarah Riley, while Imogen Smith had a blinder by making up plenty of places running an A line as people choked the B line on the start loop. Neff would fall into 4th place, pushed around the course by patriotic cheers. Dahle Flesja was slipping back, and Maja moved up, as Haley Smith of Canada really turned it on to move into 6th place with two laps to go. 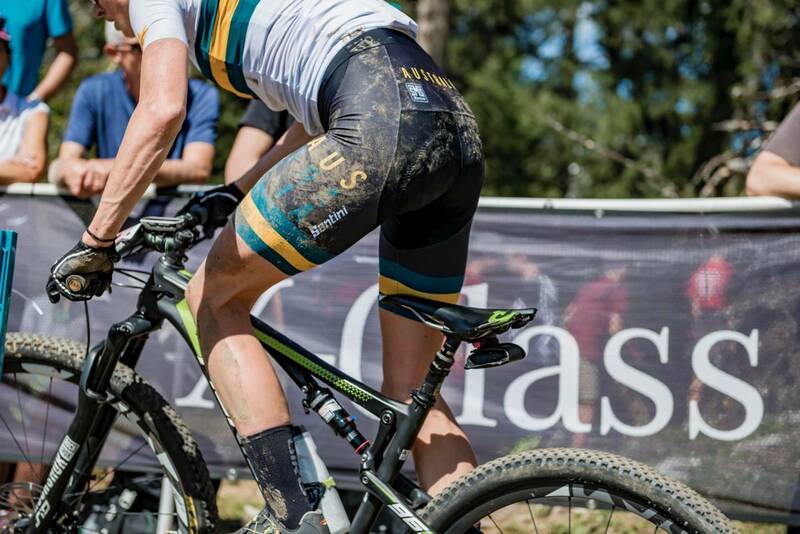 Langvad and Courtney were wheel to wheel, and going into the last lap it was a question of who would come out on top? Langvad would have to be favoured in a sprint, so could Courtney make a move? Courtney came in with a decent gap, Langvad having been dropped in the forest. Courtney had passed Langvad on a rooty climb after the slalom section - Langvad slipped and had to walk. 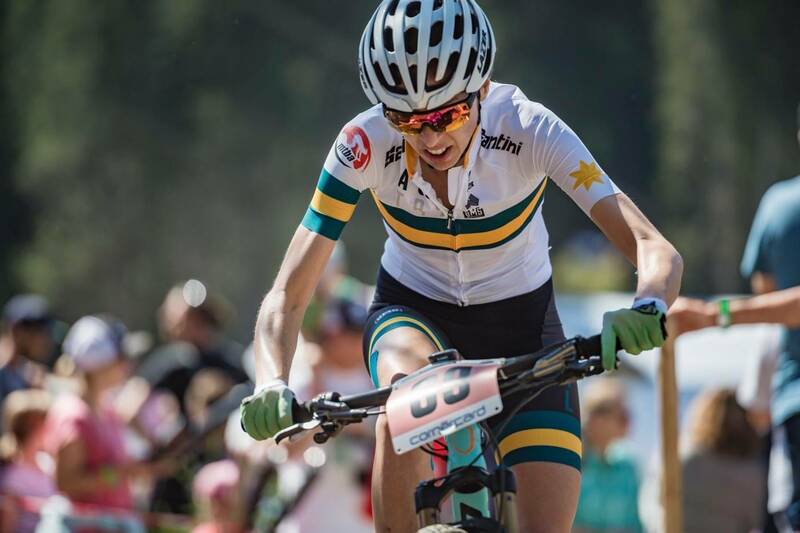 This was huge for Kate Courtney - winning the World Champs as a first year elite. 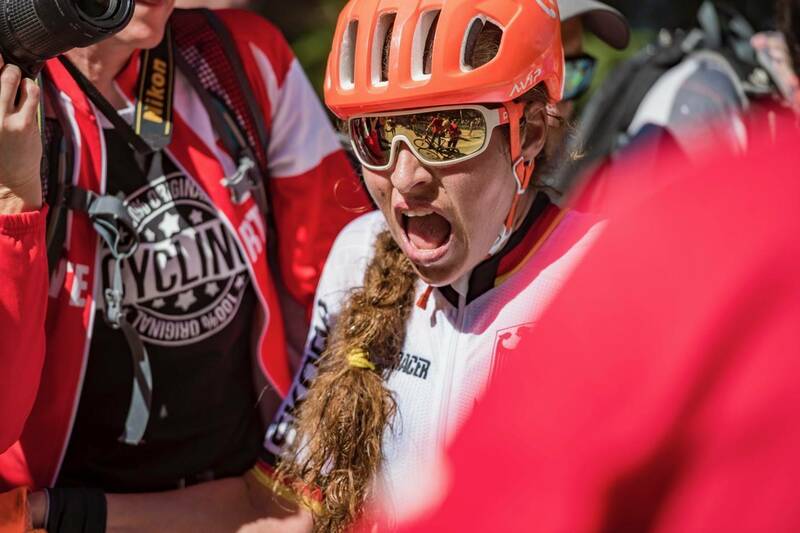 Langvad came second, and then Emily Batty was in for 3rd. 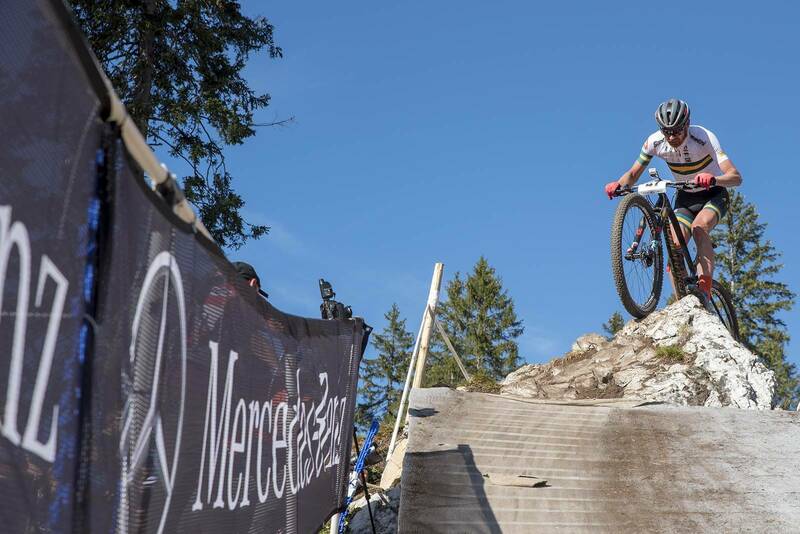 Jolanda Neff came in for 4th atop a huge wave of noise, before Maja Wloszczowska finished 5th. "I can't believe Kate won!" exclaimed Canadian Haley Smith as she crossed the line. With her previous best a 16th, this was a huge ride for Haley Smith. It also shows the depth of talent in North America, with three North Americans in the top 10. 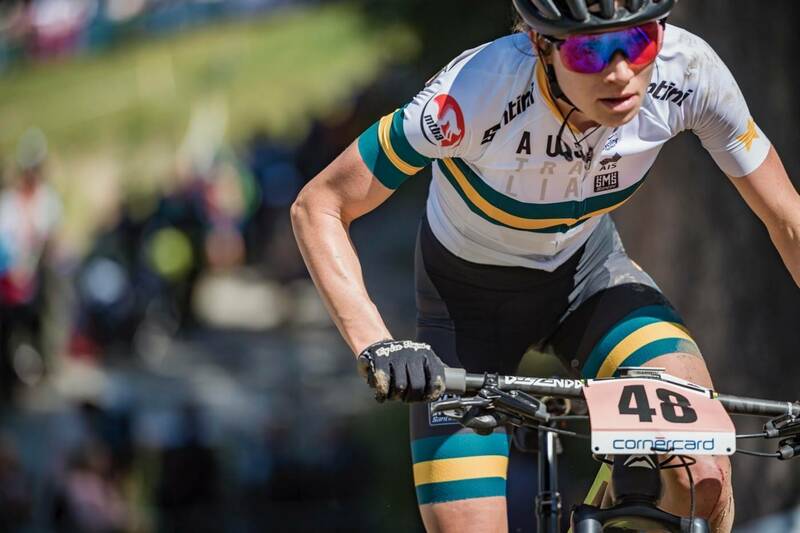 The Australian contingent finished with Harris in 43rd, Smith in 52nd and Riley in 55th. 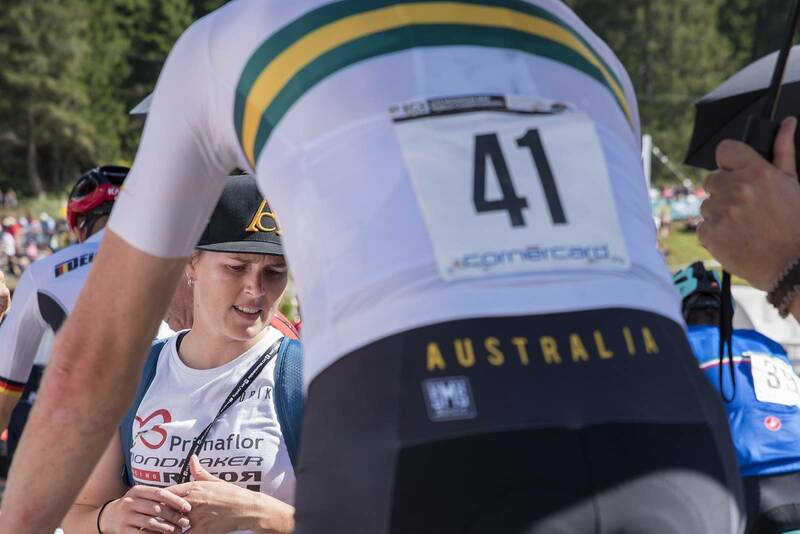 "Nothing will ever compare to the atmosphere out on course with over 25 000 spectators," said Imogen Smith. "It was one of the most exhilirating things I have ever experienced. 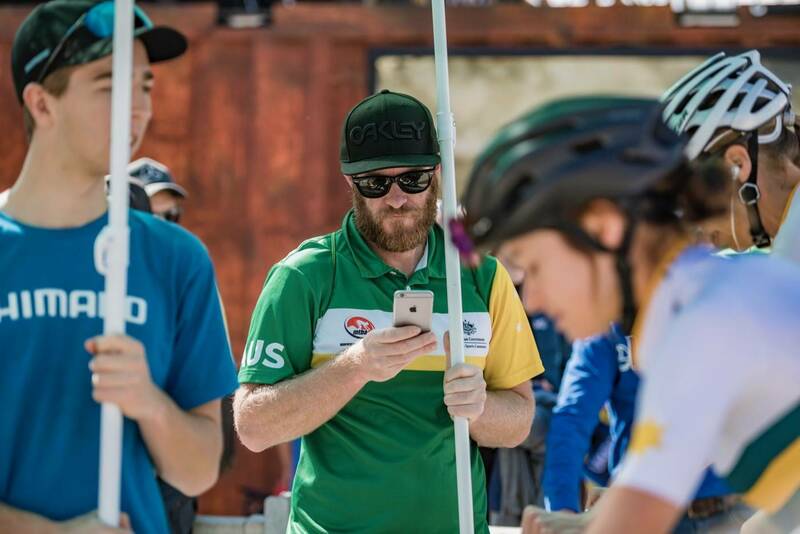 The Aussie Team staff were just incredible all week, as were other team members. I managed to move up a fair bit from my start position, and given the run in to the event I've had - I don't think I could have asked for anything better than that. I feel really privileged to have experienced this and I'm taking confidence into Marathon World Championships next week." 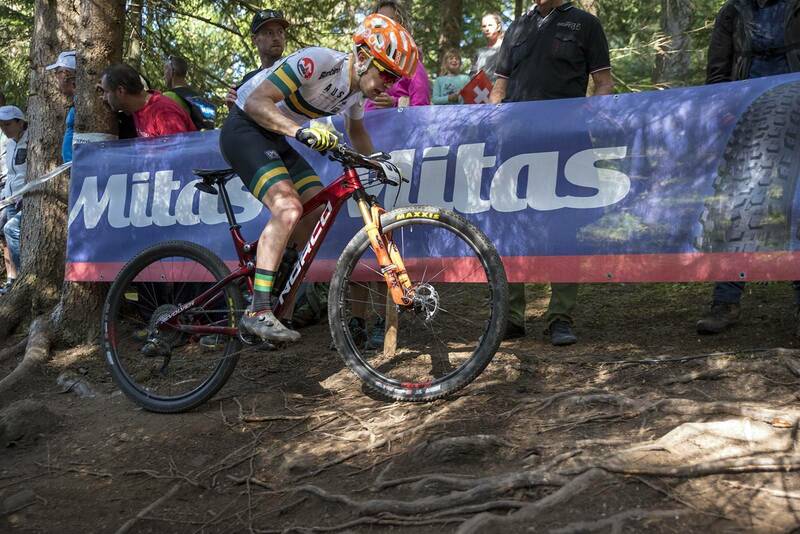 Smith's Australian team mate Holly Harris has shown over the past few weeks that she is truly world class. With a 20th in a World Cup Short Track and 31st in a World Cup, then riding such a strong Team Relay - it's clear that 23-year-old Harris has a big future in the sport. 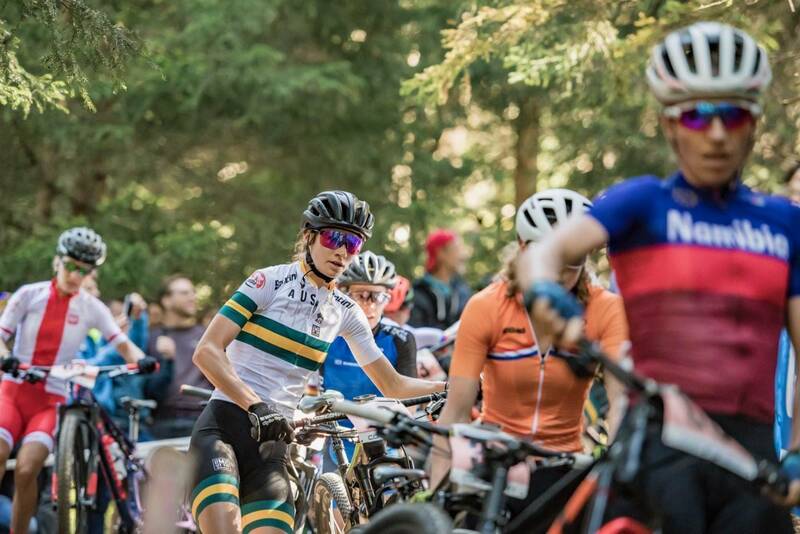 "It's not every day you get to line up with all the ladies you see on Redbull TV," said Harris of racing the last two World Cups and World Championships. "It's so good being here with the whole Australian Team." 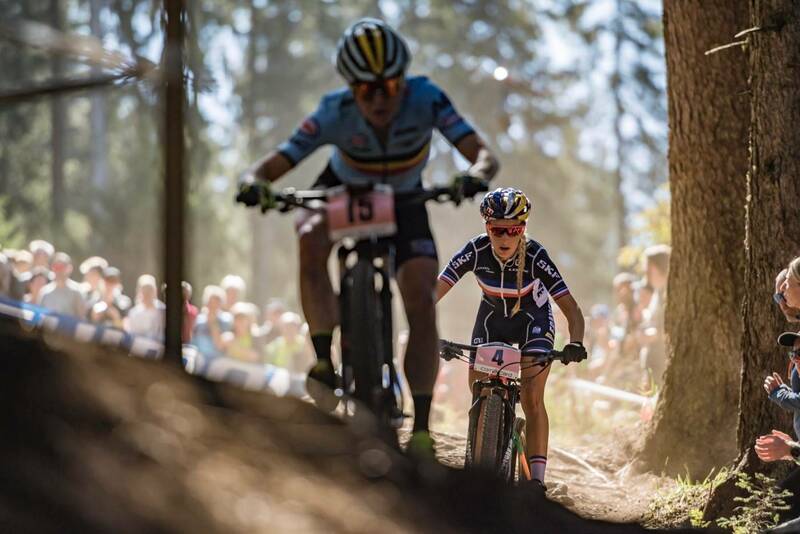 "I got caught behind a lot of crashes in the start, but Imogen had a great start. It was awesome to have all the Aussie girls around me though. The conditions were incredible today - there was dust and the roots weren't slippery. I was in heaven!" When you thought no more people could get into the event arena - more people came in. 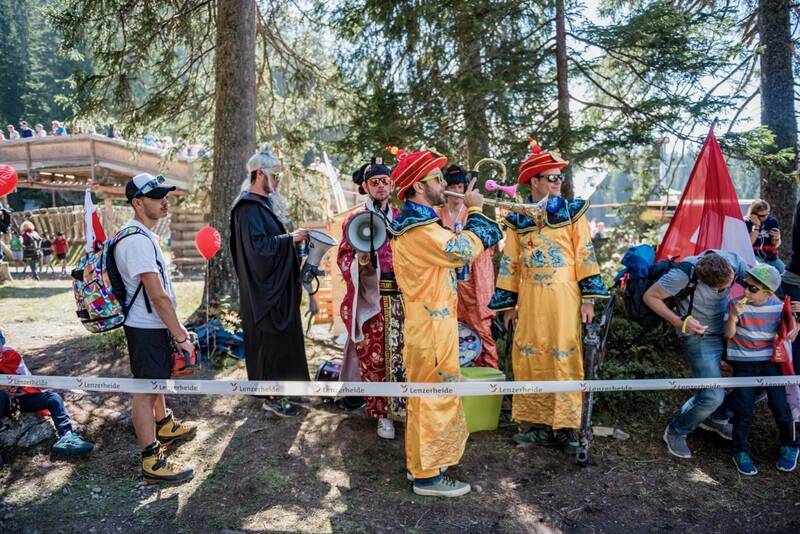 The air was think with cigarette smoke, the smell of sausage and the whir of the Elite XCO men warming up. While some riders sat on the rollers, some were rolling up and down the start climb, like bulls in a pen. 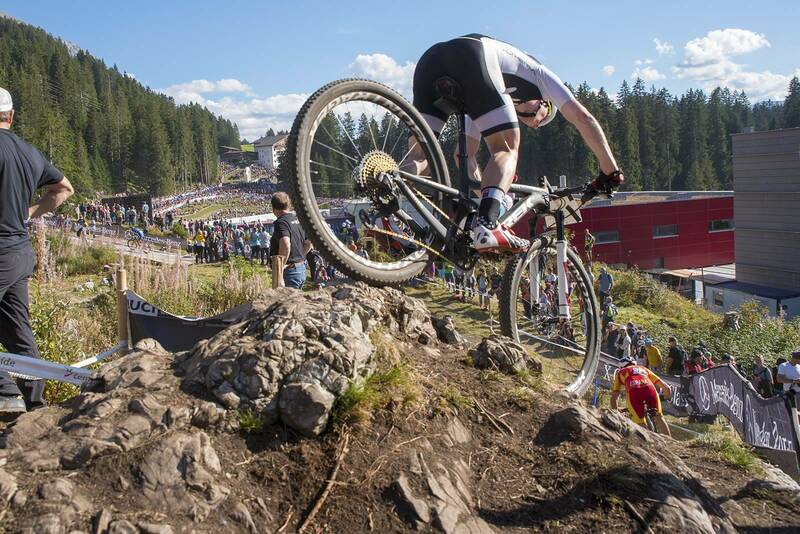 Van der Poel did laps as Schurter and others did their activations on the start climb. 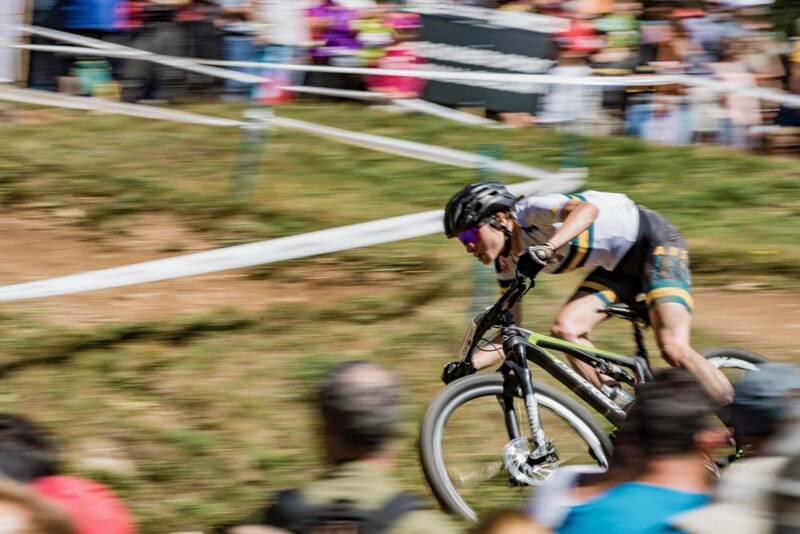 So much would come down to the start - and with a truckload of raw aggression ready to explode, at the first corner it was New Zealand's Anton Cooper who lead the charge! 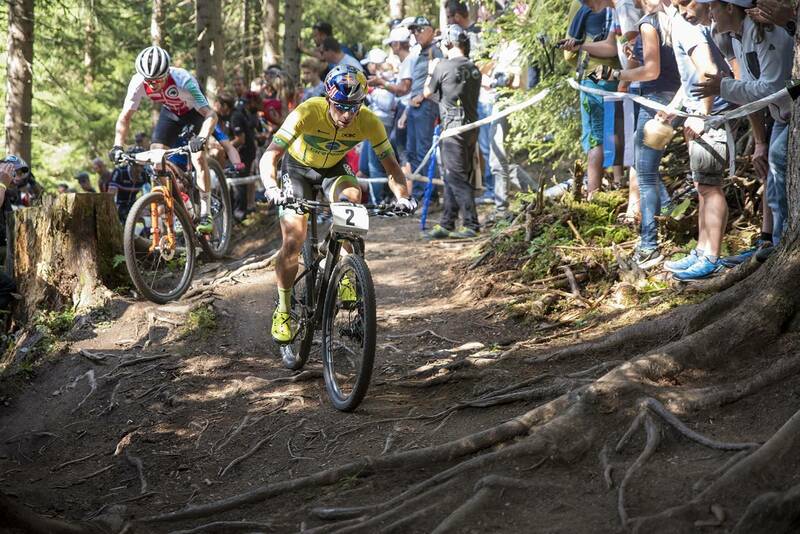 Alas, into the singletrack it was Nino Schurter who lead, and in time it was Gerhard Kerschbaumer (whose name I massacred on Instagram stories) at the front. But it was tight. With Matthias Fluckiger and Henrique Avancini right there mixing it up. 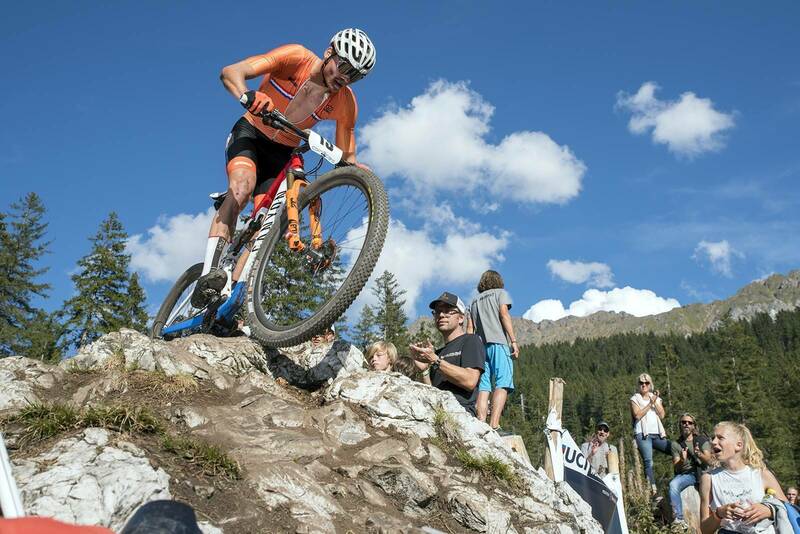 Mathieu van der Poel was missing at first, but charged through the field. And while the crowds for Neff were loud, they seemed even louder for Nino. The multiple World Champion and Olympic medallist lives just 15 minutes away, so not only was he the national hero but also the local hero. 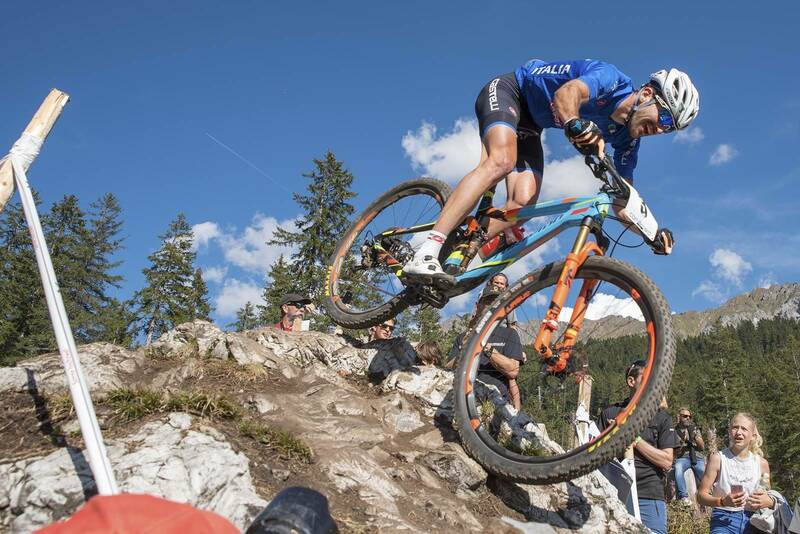 Schurter and Kerschbaumer built a lead - but could Nino shake the Italian? Australians Dan McConnell and Sebastian Jayne were further back. McConnell had lost some ground from his start position, while Jayne was moving up. Both fell victim to the 80% rule due to the savage pace at the front of the race. The big screens showed us all what was going on, and the crowd erupted when Nino managed to shake Kerschbaumer. 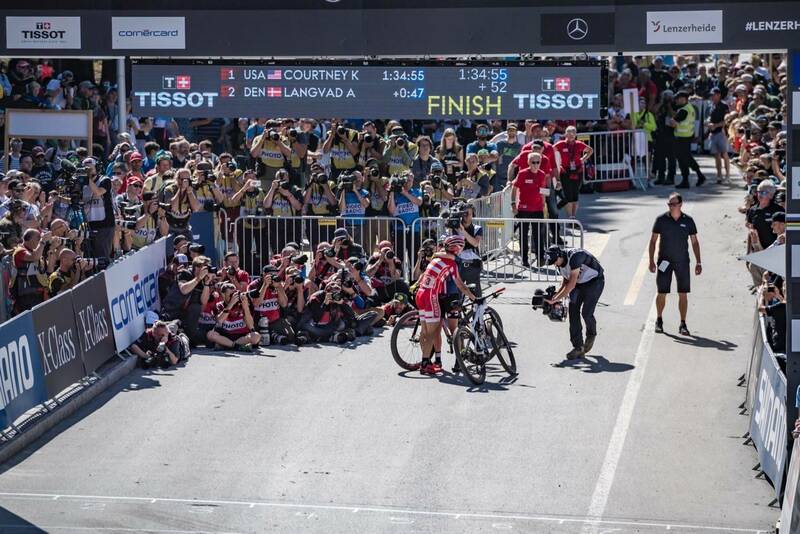 Nino crossed the line victorious, circling back to high 5 fans and hold his bike aloft, then congratulating his Italian competitor when he finished. Mathieu van der Poel finished in 3rd. McConnell and Jayne were placed 63rd and 73 respectively. 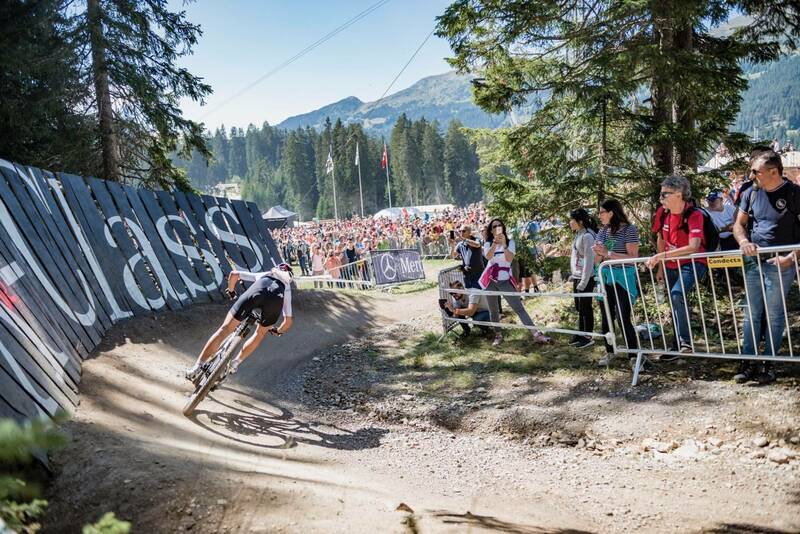 So - Nino won in Lenzerheide. Was it a big surprise? Not really. But it shows the class he has. He wins in the wet, the dry, the flat, the hilly, the fast or the technical courses. 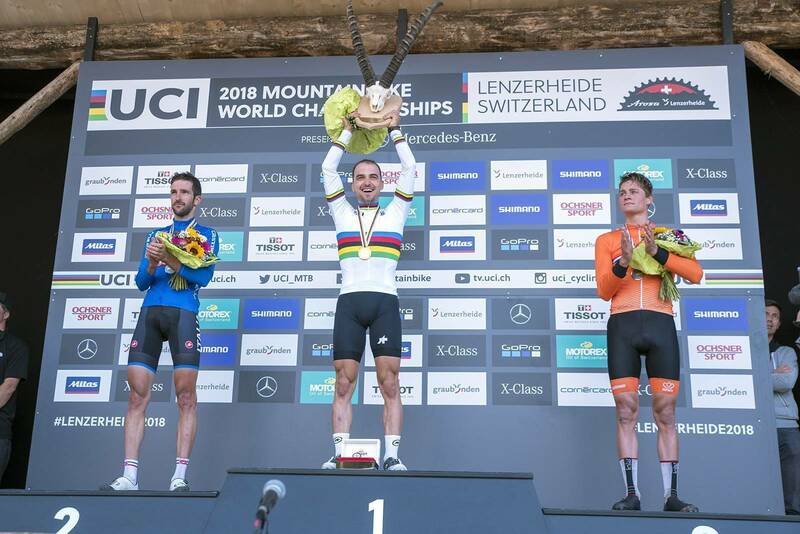 While the 2018 World Cup showed that Nino isn't unbeatable - he's still top dog and will wear the rainbow stripes for another year.